For a decade, business owners and residents in Carrollwood, Wesley Chapel, Lutz, Brandon and Plant City have been choosing Creative Concrete Services to polish their concrete floors. Below are the top 5 reasons why they prefer polished concrete over the many other flooring options on the market. Simply put. 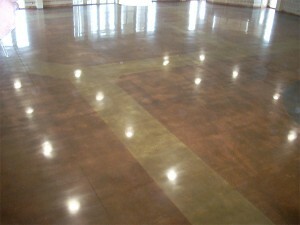 Having your concrete floors polished will turn them from blah to brilliant. 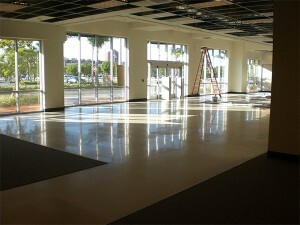 Take a look to the right to see how we worked our magic at Nordstrom Rack here in Tampa, FL. Who wants to spent a gazillion dollars when you can get the same, if not better look for a fraction of the cost? Concrete polishing is almost half the cost of Ceramic Mosaic Tile and get this, there is not annual maintenance! Sounds like a win-win to us! 3. It’s Unique Like Tampa Bay! 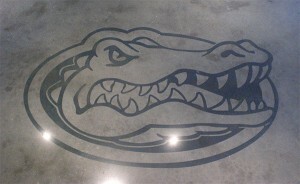 Polished concrete is unique and can be customized for your business or home with color stains so you can achieve a one of a kind look that fits you or your organizations personality. What other flooring can you get that level of flexibility? Maintenance is a huge thing to consider when choosing your flooring. 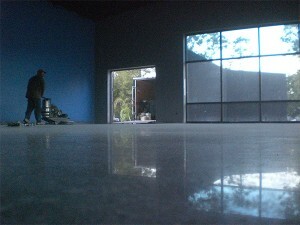 Polished concrete is super easy to clean and stain resistant. Not only is it low maintenance, its also extremely durable so no worries about the high traffic your facility may encounter. 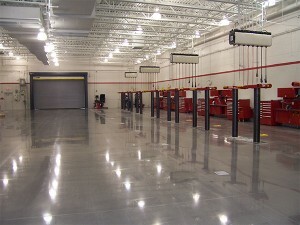 Get this – polished concrete is so reflective that it requires 1/3 less lighting then standard flooring. Less lighting equals less electricity which means a lower electric bill. Now, who’s going to complain about that? Copyright © 2005-2019 Creative Concrete Services, LLC. All rights reserved.